EBK er eitt af leiðandi byggingarfyrirtækjum í Danmörku þegar kemur að sumarhúsum. Við erum fjölskyldufyrirtæki og á 42 árum höfum við byggt rúmlega 6500 hús. Við bjóðum upp á sérfræðiráðgjöf allt byggingarferlið, tryggjum bestu gæði og fyrirmyndar vinnubrögð í hvívetna, á þann hátt erum við viss um að viðskiptavinir okkar verða ekki fyrir vonbrigðum með útkomuna. Húsin eru byggð af eigin verkamönnum og efnið er framleitt í okkar eigin verksmiðjum sem tryggir hágæði og að vinnan er skjótunnin á byggingarstað. Engar óvæntar uppákomur hvað varðar efni eða vinnubrögð, en vönduð vinnubrögð alla leið til enda verks. EBK býður upp á 7 mismunandi húsagerðir, allt frá hinu klassíska danska sumarhúsi til nýtísku og stílhreinna húsum. Öll húsin eru heilsárshús, opin upp í rjáfur og með stórum gluggum sem veitir góða birtu inn í húsin. Tryggjið ykkur fund med EBK, bókið hér! Frá hinu fyrsta húsi sem EBK byggði á Íslandi árið 1989 er talan komin yfir 70 hús, sem eru dreifð vítt og breitt um Ísland. Húsin eru afhent fullbúin og sett upp af verkamönnum frá EBK eða sem byggingareiningar. Þú færð þitt eigið byggingarlið, samansett af ráðgjafa, aðila frá teiknistofunni og byggingarstjórnanda. Þeir munu vera með allan tímann sem framkvæmdir standa yfir og vera þér til trausts og halds, eins ef koma upp efasemdir af einhverju tagi eða spurningar vakna. Við viljum vera viss um að þú fáir þá bestu upplifun sem hugsast getur á ferlinu. Við veitum alla þá ráðgjöf sem óskast hvað snertir byggingarframkvæmdirnar og vísum fúslega á aðila sem við erum í samvinnu við á Íslandi, td. arkitekta, í sambandi við flutninga o.s.frv. We bought our EBK house in year 2005. Lyngholm house, located in Grímsnes in south part of Iceland. At first it was a carpenter who introduced us to EBK sommerhouses. We were at a party and met these carpenter which we new. We asked him about what kind of sommerhouse we should have. He told us that he had sommerhouse from EBK and he recommented them highly. At the beginning we went to „Open house“ weekend where we did meet a EBK employee with all information. We also visited other people who had bought EBK summerhouses. One couple is still a very good friends of us and we meet them 2-3 times a year. We bought our EBK house without any work. We did it ourselves with a good help. We went to Köbenhavn to choose everything inside the house, a very nice weekend in Köbenhavn. From a-z the service and quality from EBK have been exellent! We really love our EBK house and we try to stay there almost every weekend over wintertime and also for weeks over summertime. We contacted EBK in the year 2007 when the Icelandic krona was very strong against the Danish krona. We were lucky to buy the house in that year because in 2008 the Icelandic banks collapsed as well as the Icelandic krona. We bought 'Sort Søholm 125' unpainted. Painting was something we could do easily. We enjoyed to paint it in our color "mountain blue" as we call it. The contractors from EBK were only 4 weeks to build the house and it was incredible to watch them work long hours day by day. We are very proud of our EBK house today and we have been there at Christmas, Easter and of course in the summer. It is only easy to recommend a buy of an EBK house. Probably one of the best and the most enlightening decision I have ever made. An unique house after some small changes to fully fit my needs. Danish architecture at its best. Excellent handicraft/work from the beginning to the end. EBK has been more than trustworthy all the time and every small item exceeded my expectations. We built Sört Söholm 76 sqm beautiful house in 2008 right after the economic crise in Iceland. The house is located in southern part of Iceland close to Laugarvatn. We had very good carpenters from Danmark who finished the house in only 5 weeks. We love the design and lay out. It has so good connection with the sourroundings thanks to the marvellous big windows. We spend as much time in the house as possible and always very satisfied. We selected the EBK house because we liked so much the architecture. We have a beautiful house from EBK that were built in 2007. We started to look in too different houses year before. We did contact you and visit you in Denmark and decided to ask you to build our house. Every think vent very quick and well and 1 year later, to big container and to very skilled carpenters arrived at the building side. The builders were 3 weeks building the house and it was unbelievable to see it go so fast. We are very happy with our house, it is very warm and cosy and everything is still ok.
We got a house from EBK in the year 2007 around 104 square metre size, we are very pleased with the house. It fits very well in the surroundings as seen on the picture, where it is situated among small trees, small lakes and lava hills. The sunset in the valley is breathtaking and it can been seen through the house. Sitting by the sittingroom you can the both to southeast, south, southwest and the straight to north. It can be cold in Northern part of Iceland in the winter time, the house is very well insulated and the heating cost is very low. Strong, good and beautiful house. Byggingarráðgjafar frá EBK halda opna hótelfundi (einkafundir) á Íslandi mörgum sinnum hvert ár. Endilega hafðu samband við okkur ef þú hefur áhuga, hefur spurningar eða ert í vafa um eitthvað - eða bara forvitinn og vilt heyra meira um EBK húsin. Þú getur líka skráð þig á netfangalistann okkar og fengið rafrænt fréttabréf, þar sem við auglýsum opna fundi á Íslandi strax og dagsetningin er komin á hreint. Skráðu þig hér til að fá skilaboð um opna fundi á Íslandi og annað fréttnæmt frá okkur. Ég veiti hér med EBK HUSE A/S leyfi til að geyma þær uplýsingar um mig sem ég hef gefið upp hér og staðfesti að ég hef lesið og gert mér grein fyrir Persónureglugerð EBK. 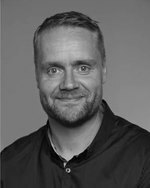 Med að senda netpóst til persondata@ebk.dk get ég dregið þetta samykki tilbaka og látið eyða öllum þeim upplýsingum sem ég hef gefið upp. Vinsamlegast skrifið til okkar á dönsku eða ensku ef mögulegt er. Vinsamlegast skrifið á dönsku eða ensku. Allir reitirnar eiga að vera fylltir út. Athugasemdir / spurningar til EBK HUSE?